Stem cells are actually pericytes, or cells that live on the walls of our blood vessels. However, unlike specialized differentiated cells, such as cartilage cells, bone cells and fat cells, stem cells are undifferentiated. But, they do respond to various stimuli that allow them to become differentiated, turning them into specialized cells. Having the capacity to create this crossover is what allows us, in a controlled environment, to use these cells to help regenerate damaged and/or lost tissues. And, while embryonic stems cells (which we do not use) can transform into any tissue, adult stem cells (the ones we work exclusively with) are primarily “medicinal cells,” in that they produce growth factors, anti-inflammatory agents, antibiotics and other tissue stimulating proteins to help our body maintain its healthy function. 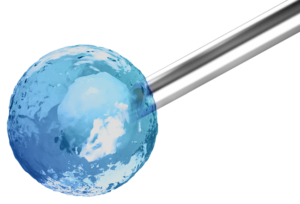 These adult stem cells either produce or recruit the growth factors that speed up the rate of repair and increase the quality of tissue regenerated in our treatment therapies. In fact, these cells are the true worker bees when it comes to helping us treat our patients.